The Jomsom Muktinath Trek is a travel adventure to high mountain region of western Nepal dominated by Dhaulagiri and Nilgiri Himalaya Range. The trekking course begins from the town of Jomsom ending at the Muktinath temple. The Jomsom is a town residing at the elevation of 2700 meters with the facility of Airport Terminal, major business center, lodging center for tourists and government district headquarter. Jomsom is the commercial and administrative center of Mustang District of Nepal and entry point to Muktinath temple. 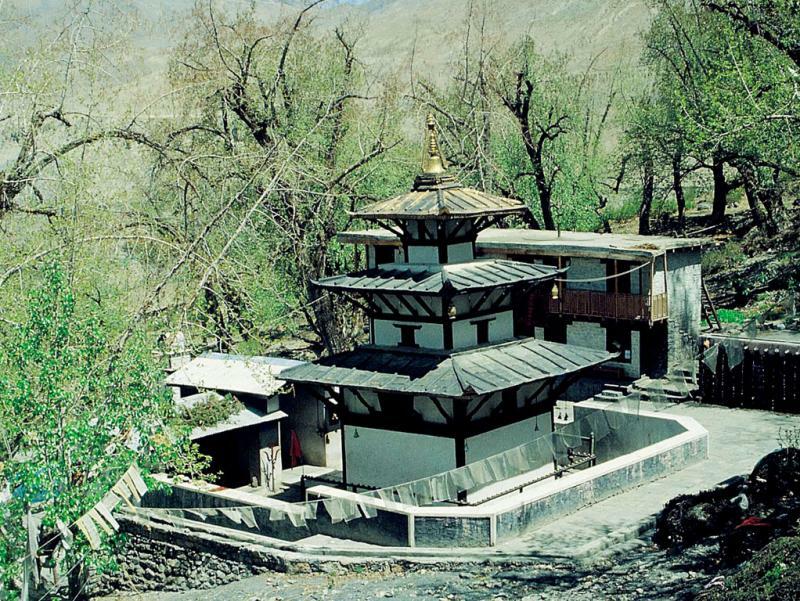 The Muktinath is a holy shrine for Hindus and Buddhists residing at the foot of Thorong La Pass at the elevation of 3710 meters. The Muktinath temple is one of the ancient Hindu temples and eight most sacred shrines of Vaishno related to Tirupati and Badrinath. The temple of Muktinath has a golden statue of God Vishnu along a courtyard of 108 water spouts made of bull faces which pours the holy Pushkarini water from it all the time. 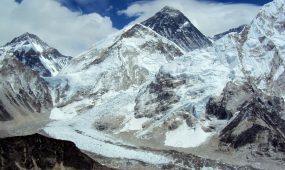 The Jomsom Muktinath Trek is a challenging trekking adventure facing the semi desert region of Mustang and following the barren banks of Kali Gandaki River. 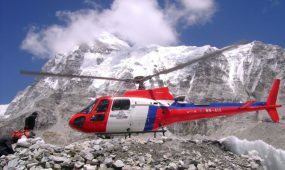 The travelers have the option to take air-flight or vehicle ride to Jomsom district headquarter. The travelers land at Jomsom and start their trekking course towards Muktinath. The breathing natural beauty is experienced during trekking from Jomsom to Muktinath. The trekking trail follows the kali gandaki river dominated by Annapurna Himalayas on one side and Dhaulagiri Himalayas on other side. 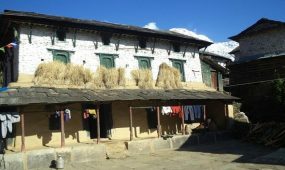 The trekking trail passes through lower mustang region ending at the village of kagbeni. The travelers after getting rest move towards Muktinath temple which is the end point of trekking trail. Early morning flight to Pokhara. Be sure to catch right side of the airplane for the best views of Himalayas. 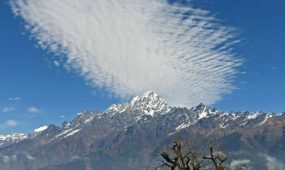 Pokhara offers magnificent views of the Dhaulagiri, Manaslu, Machhapuchhre, five peaks of Annapurna range and others. Numerous lakes of Pokhara offer fishing, boating and swimming, the city itself is popular as city of lakes. After taking rest for some time, drive to Nayapul and start the trek. 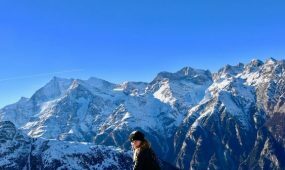 We walk to the northern side of Bhurung Khola, the trail climbs through the sub tropical valley forests, sometimes on the carved trail on the side of the cliff. We cross the Modi Khola River via a suspension bridge to the village of Tikhedhunga. From Tikhedhunga the trail drops down and crosses the Burungdi Khola, then climbs all the way up to Ghorepani via very steeply up to village Ulleri. The Ulleri Hill with thousands of steps and boulders that continually go upward would really prove a test of your stamina. The name Ghorepani in Nepali means “horse-water” owing to its role as an important campsite for traders before it became a trekker’s stop. Ghorepani is an interesting place with small shops and stalls for selling local products and craft. Since Ghorepani lies quite higher than our previous stop, we begin to feel the chilly weather especially in the evenings. The trail now follows the Kali Gandaki river flows under the deep gorge by 2200m in between two 8000m mountaintops are only 38km apart. Continuing along to Dana, Rupse Chahara meaning beautiful waterfall and Kopche Pani, the trail further ascends to the Thakali village Ghasa. Ghasa is a paradise for the bird watchers. A steep climb through forest takes you to Lete Khola then reach to Lete. It further continues to the east side of the Kali Gandaki reach you Larjung Village. From Larjung, we cross trail via Tukuche at 2590 m and apple farm projects which produces apple and vegetable for the whole region until you get to Marpha Village. Today, after breakfast, we make a 200 kilometers drive back to Kathmandu. Better to hold on the left pane of the vehicle to enjoy the scenery through the route. Upon arrival in Kathmandu, you will be transferred to your hotel. There is nothing to do but trade emails with travel companions and organize the photos. You can spend the evening leisurely, perhaps catch up on some last minute shopping and celebrate dinner together with Nepal Planet Treks staffs. Overnight at Kathmandu. You are saying good bye to the mountains as your journey in Nepal comes to an end today! We take you to the airport for your flight time. We hope you enjoyed the trek, and are sure you will be back trekking somewhere in the Himalaya again. Approximately 3 hours before your scheduled flight a representative from Nepal Planet Trekking will take you to the airport. On your way home you’ll have plenty of time to plan your next adventure in the wonderful country of Nepal. Two nights standard accommodation in 2/3 star category hotel in Kathmandu located tourist center, or up to you. If you need we will provide you sleeping bag, down jackets, Duffle bag and, if necessary etc Nepalplanettreks Company Bag it be free if you would use during a trek . Meals your self Kathmandu (L+D). 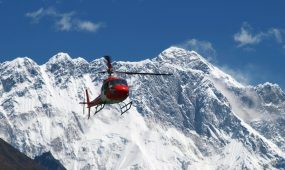 We INSIST that an appropriate insurance policy is taken out which covers travel in isolated and mountainous areas, and which also includes helicopter rescue. We recommend that you consult a reputable travel agent or insurance specialist.